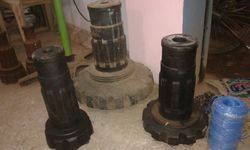 We also pride ourselves on being able to not only provide Range of Drilling Tools and also to help, advice for The Selection of right Hammer, Button Bits, Drill Rods and related accessories which will be directly affecting the number of piles drilled per day and cost of drilling of the entire project. 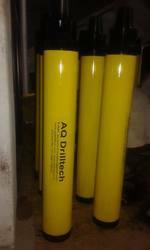 We manufacture products under brand name AQ Drill Tech. 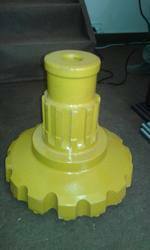 Solar DTH Drilling Bits Hammer We are a specialized solar piling company here to help you with all your solar farm installation requirements. We can supply solar piling rigs, solar pile installation and operator training if required. This enables you to tender for and complete more projects, without heavy capital investment. Ground Solar Pilling We are a specialized solar piling company here to help you with all your solar farm installation requirements. We can supply solar piling rigs, solar pile installation and operator training if required. This enables you to tender for and complete more projects, without heavy capital investment. We are a specialized solar piling company here to help you with all your solar farm installation requirements. We can supply solar piling rigs, solar pile installation and operator training if required. This enables you to tender for and complete more projects, without heavy capital investment. We also offer a vast range of additional services including site investigation and recommendation reports, transport and related plant and equipment at very competitive prices, and will always try our best to match your current rates. Solar Piling Rigs and Pile Installation Specialists. 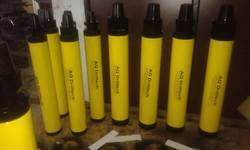 Looking for Solar Pile Hole Drilling Tools ?